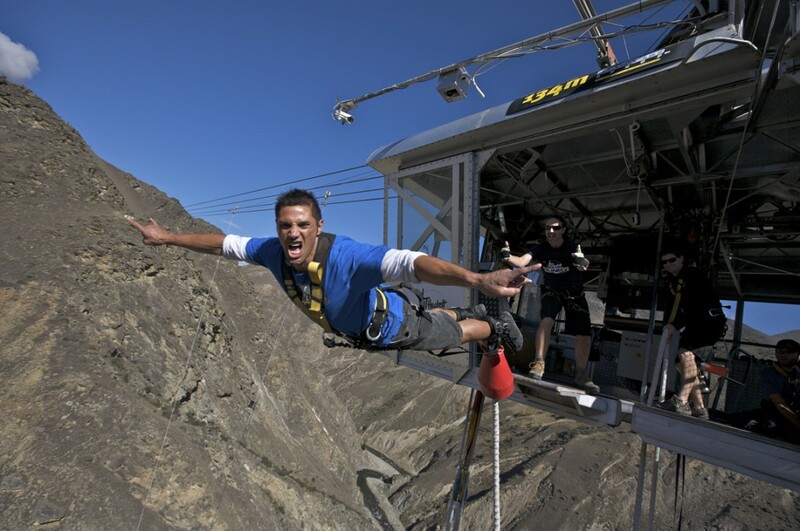 New Zealand is the adrenaline capital of the world. With cascading glaciers, deep caves and those crazy Kiwis to help you fulfil that insatiable need to feel alive, there are a mountain of things to do. Adrenaline is about doing things that scare you. What could be scarier than falling 134 metres? We’re serious – the Nevis Bungy is the highest bungee jump in New Zealand and is taller than Big Ben and the Statue of Liberty. The tallest belongs to Macau Tower, China; a dizzying 233 metres! 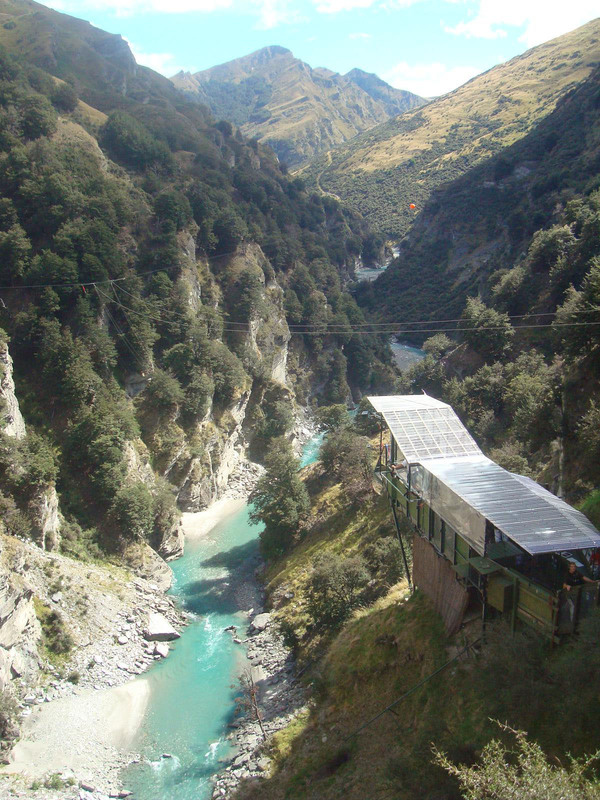 As for New Zealand’s highest bungy jump, if you think you have the guts to try it, take some deep breaths, relax those shoulders and attempt to shut off that pesky brain that will tell you it’s a bad idea, and jump! 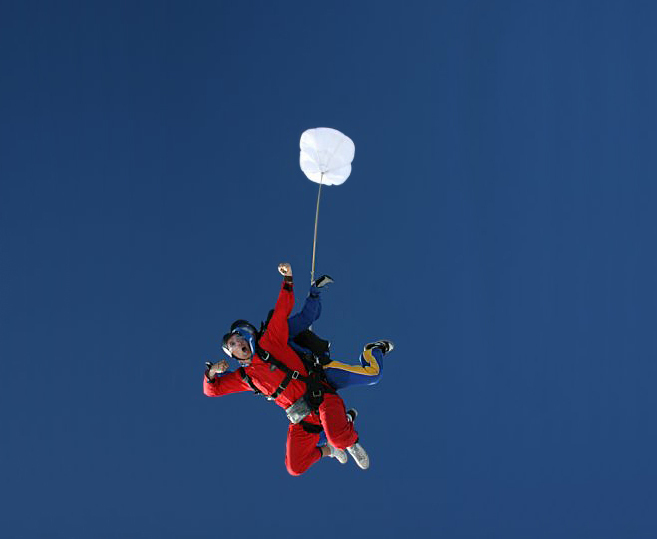 We’re sure many of you crazy adventurers have done a skydive before, but how many of you have done an 18,000 feet skydive?! This incredible height allows 75 seconds of freefall, which is a long time to go nuts, attempt to take in where you are and what you’re doing, and pray the parachute opens (of course it will silly). Whilst you’re up there, take in the views of Mount Cook and the Franz Josef glacier, if you’re able to through all the screaming. Think a bungee jump is the only way you can hurtle to the ground on a piece of rope? Think again! Canyon swinging is a whole different level of scream. Imagine being pushed off a cliff, sometimes upside down and you get the idea. There are other ways to hurtle off the canyon edge including ‘The Chair’, ‘The Pindrop’ and ‘The Elvis Cutaway’. 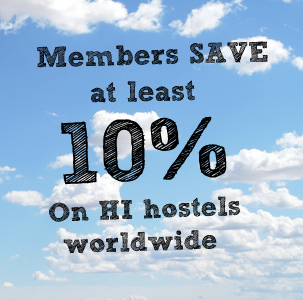 Decide for yourself, but don’t blame us when you’re hanging by your feet looking down in the canyon! Put on your wetsuit, your helmet and prepare yourself for some very wet, very muddy underground rushes of adrenaline. The Lost World Epic starts with what we come to expect from adrenaline fuelled escapades in New Zealand – a 100 metre abseil. 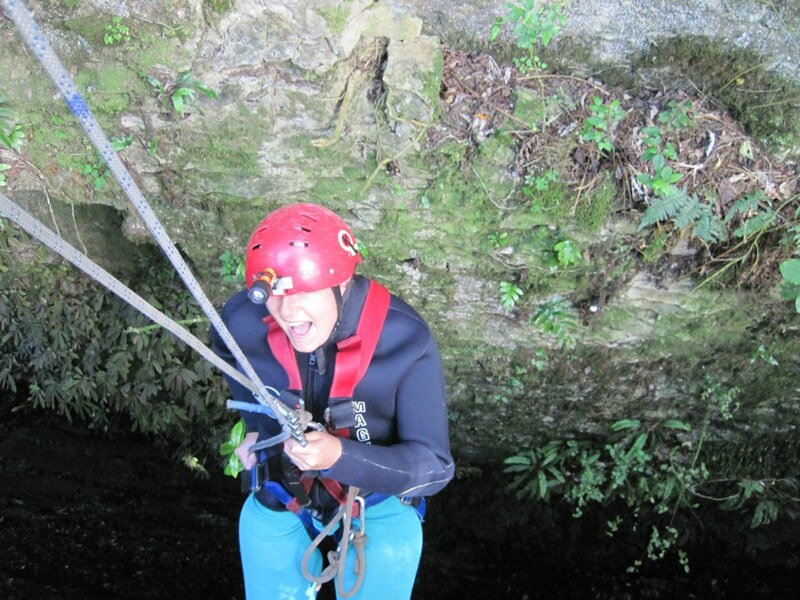 This abseil takes you into a mist filled canyon where you’ll begin your 7 hour cave trek, climbing through waterfalls, jumping off limestone ledges into torch lit pools and wading through small passageways. You’ll need to dig deep to fully take on this challenge! This is no ordinary speed boat. 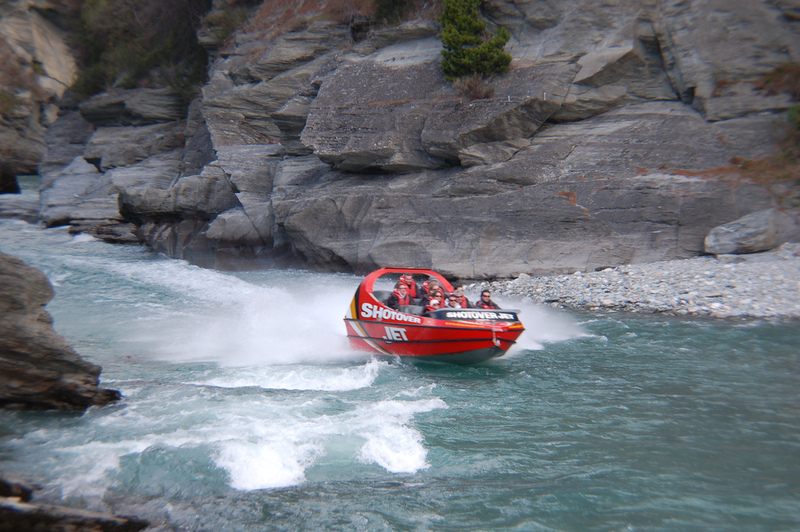 It’s an insanely fast, heart racing ride through the canyons of Shotover River. Before you ask – no you won’t be able to drive the boat, however the ride through the canyons is certainly exhilarating and will likely take your breath away (and spray water in your face) as the boat zips along, narrowly missing cliff edges with an engine capable of 700 horsepower; so a steady pace!